Scooper - Technology News: Why are so many people still dying of rabies? Why are so many people still dying of rabies? Someone, somewhere, just died of rabies that developed because of a dog bite. Another will die very soon. In fact, one person dies of rabies every nine minutes. Mostly in Africa and Asia. You didn’t know them, they weren’t rich, they certainly weren’t famous, they had no political influence, they didn’t live anywhere near you and they didn’t live the way you do. It’s not a new emerging disease like Ebola or Zika that threatens developed countries. Rabies has been around for millennia. The World Health Organization has classified it as a Neglected Tropical Disease , precisely because it gains so little attention. Once someone develops the symptoms of rabies, they will almost certainly die a harrowing death. Only a tiny, tiny fraction of people miraculously survive contracting the virus. There was hope of a cure for a while, but the method doesn’t always work. No reliable cure has ever been developed. I can’t even point you towards a recent report detailing exactly how many people die and where they lived, because the data isn't collected in a comprehensive way. So, I exaggerated a little at the start. We can’t prove that someone dies every nine minutes; that’s just our best guess. The disease has been grouped among those that "hide in plain sight". But hold on, there’s another side to this story. There are some people trying to change things. Those who see this disease, day in, day out, taking the lives of children, husbands, friends. They're tired of nothing changing, of rabies never making enough headlines. What I have not yet mentioned is that this fatal disease may not be treatable, but it is completely preventable. People can be saved – even after they are bitten – if they can get the vaccine in time. 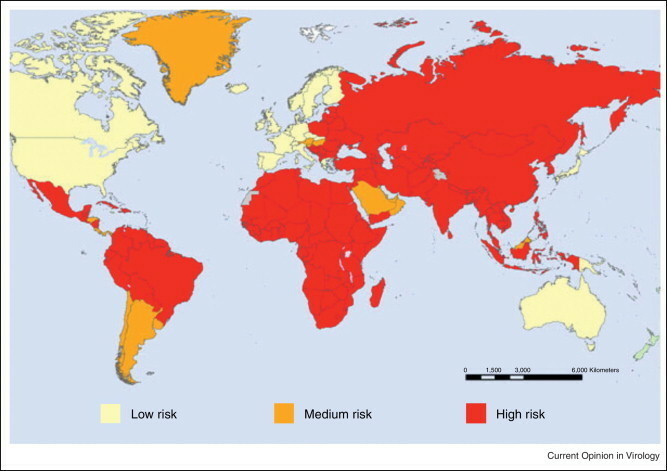 Rabies has been eliminated from dogs in developed countries with safe and effective vaccines, but other countries aren't so lucky. More than half of human rabies deaths occur in children under 15 years old as a result of being bitten by an infected dog. Seeing the fear in a patient’s eyes when they are told they have the virus, and watching them walk away from the hospital they can’t afford to stay in, is not something any humanitarian should witness in this day and age. Seeing people having to choose between their exposed children, which one to try and save . Dealing with the body of a rabies-infected child , which was abandoned because the parents couldn’t afford a burial. Watching a victim switch from the terrifying anxiety of clinical rabies to periods of lucidity. All this because they live in the wrong community, in the wrong country, where the political will and the public health resources don’t stretch to protecting them from this terrible disease. Knowing that if they had reached a vaccine in time, or if the dog had been treated, rabies wouldn’t be a concern. Those working in rabies prevention find themselves wishing "if only" again and again. I am just like you. I have never seen a live rabid dog and I have never seen a rabies patient, except in videos. But I talk to people who have. It is rarely reported, but it happens all the time. That needs to change. More than 130 years after the first human vaccine against rabies was successfully used, we should be embarrassed at the lack of progress. On the occasion of the 10th World Rabies Day on 28 September, the global rabies prevention community and their supporters will hold events around the world to build awareness about how these lives can be saved, to draw attention to the public health inequality and to try to change change the status quo. At all levels, from communities to international health publications, people will contribute what they can. There is change on the horizon. A year after the new Sustainable Development Goals were introduced, there is more emphasis than ever on ending health inequality , and neglected tropical diseases are specifically targeted for elimination. In December 2015, a global meeting by the WHO and World Organization for Animal Health brought together experts in rabies control, with the tagline The Time Is Now. The messages were loud and clear. We have the evidence that elimination is feasible, we have the examples of where it has been done; now we need the political will and financial backing to make it happen. A framework for the elimination for human rabies was agreed upon. Its strategic vision is an end to dog-mediated human rabies by 2030. Let's hope it works. If you’d like to find out more, go to endrabiesnow.org . Have you read? How can we eliminate canine rabies? Why the world is not yet rabies-free How do we combat rabies?